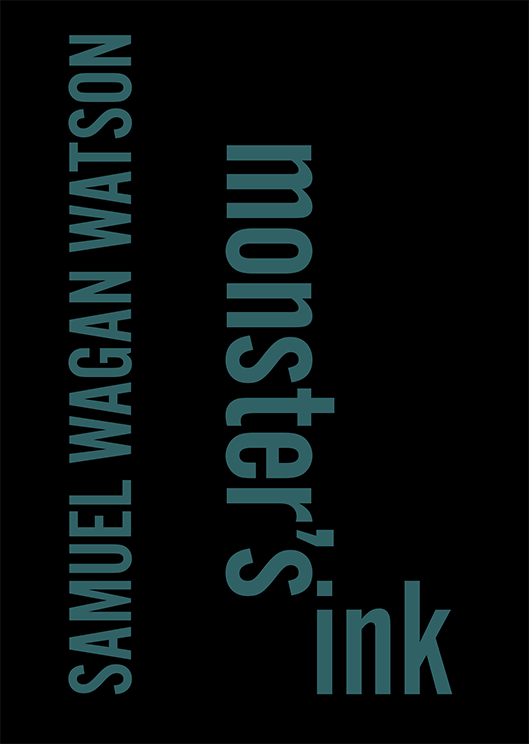 As the title suggests, monsters in many forms populate Sam Wagan Watson’s latest chapbook, Monster’s Ink, the third in IPSI’s chapbook series after Philip Gross’s Time in The Dingle and Katharine Coles’s Bewilder. Wagan Watson’s monsters are hidden in the darkness of closets and beneath beds – or they’re not hidden at all, proudly occupying positions of power. Many of the monsters, like Wagan Watson (of Munanjali, Birri Gubba, German and Irish heritage), are culturally diverse: a German vampire, Jenze Stager, with a taste for Aboriginal Dreaming; Bram Stroker’s Dracula evoked somewhere under a bed in Brisbane; a ‘7-foot arachnid-homo-species from a rare alabaster egg’; an indigenous equivalent of Mary Shelley’s creation, Frankenstein of the Dreamtime. and the mirror will remain a dead-pool in the bedroom. It is not just the prose poetry that makes this slim 28-page collection seem disproportionately dense, it is also the proliferate population of possible Wagan Watsons that occupy the pages. This entry was posted in BOOK REVIEWS and tagged Dave Drayton, Sam Wagan Watson, Zoe Dzunko. Bookmark the permalink. Dave Drayton was an amateur banjo player, Vice President of the Australian Sweat Bathing Association, and a founding member of the Atterton Academy. He received his PhD from the University of Technology, Sydney, and in 2014 was awarded the William Blake Prize for Poetry.